A celebration of the launch of a new book edited by Verónica Cortínez, director of the UCLA Center for Southern Cone Studies, in Santiago, Chile. 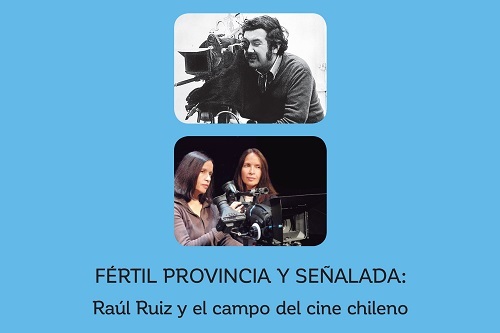 Marisol Vera, Director of Editorial Cuarto Propio, cordially invites you to the book launch for Fértil provincia y señalada: Raúl Ruiz y el campo del cine chileno, edited by Verónica Cortínez, UCLA. The launch will be hosted by René Naranjo, film critic, and María Elena Wood, film-maker.